Any accident is unnerving, but when you’re in a collision with a semi-truck or commercial vehicle, it can be even more unsettling. You might be dealing with serious injuries and damages to your vehicle. Chances are, if you’re reading this, you need a trusted and distinguished Michigan semi-truck accident lawyer. We want to make sure you are taken care of and get on the road to recovery as quickly as possible. Read on to see how a Sinas Dramis truck accident attorney can help you recover the compensation you need and deserve. Contact an experienced Michigan semi-truck accident attorney today for a free initial case review. We don’t collect any fees until you win or settle your case. How Does A Semi-Truck Accident Differ From A Car Crash? No matter what you call them – semi-trucks, tractor trailers, big rigs, 18-wheeler, or commercial trucks – the sheer size of these vehicles make a collision with them more catastrophic. Because of this, semi-truck accidents also typically involve more claims for catastrophic injuries. In Michigan, nearly 13,000 heavy trucks, including semi-trucks, were involved in crashes on the roadways in 2017! A claim involving a semi-truck accident is also often more complicated than a passenger vehicle claim. There are several reasons for this. Both federal and state laws apply to semi-truck accidents. Federal rules and regulations govern semi-truck insurance requirements, record-keeping requirements and record-retention periods. At the same time, Michigan no-fault law governs insurance benefits. Multiple parties are usually involved in a semi-truck accident claim, including the person(s) in the passenger vehicle, the semi-truck driver, the semi-truck owner/company, the semi-truck manufacturer and any distributors, suppliers or retailers. 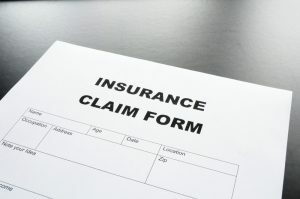 Numerous insurance policies can be involved in a semi-truck claim. Many survivors of semi-truck accidents have catastrophic injuries that require lifelong treatment and rehabilitation. In this video, Grand Rapids personal injury attorney Tom Sinas talks about the differences between semi-truck accidents and other types of motor vehicle crashes. $8 million for a 76-year-old retired steelworker injured in a semi-truck/motor vehicle collision. $3 million for the death of a 43-year-old man in a semi-truck/motor vehicle collision. $2.5 million for a 19-year-old woman catastrophically injured in a Lansing semi-truck accident. $2 million for the death of a 53-year-old man with a wife and three adult children in a semi-truck/motor vehicle collision. See more of our verdicts and settlements here. unlimited lifetime benefits for allowable expenses. lost wages for three years. replacement services for three years. Because Michigan’s no-fault law applies to trucking accidents, persons injured in a semi-truck collision should seek an attorney who has a complete understanding of both the federal regulations that govern the trucking industry AND Michigan’s complex auto no-fault system. 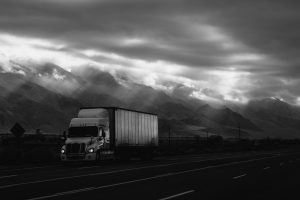 Unfortunately, some law firms will accept a semi-truck accident case, only to then refer the no-fault portion of the case to another law firm, which can be frustrating for victims and their families. Rest assured, however, that the Sinas Dramis semi-truck team will handle ALL ASPECTS of your trucking accident cases, including any no-fault claim that is involved. Our lawyers not only have a comprehensive understanding of the federal regulations that govern the trucking industry, but are also recognized as leading authorities on Michigan’s auto no-fault law. If you’ve been injured in a Michigan semi-truck accident, Sinas Dramis will be at your side every step of the way, helping you on your road to recovery. Here’s how we will do that. Our Michigan semi-truck accident lawyers will fight for your entitlement to no-fault personal protection insurance (PIP) benefits, including medical and rehabilitation expenses, work loss benefits and expenses for replacement services. Our attorneys can pursue a claim against other entities involved, such as the truck driver and the trucking company, if they were at fault, allowing you to potentially recover pain and suffering damages. Our lawyers may also bring a wrongful death suit, if the other party involved (truck driver, trucking company, etc.) was somehow negligent. If you have been injured in a semi-truck accident, contact the experienced attorneys at the Sinas Dramis Law Firm today for a free consultation. Semi-Truck Side Guards: Do They Reduce Crash Fatalities?